The Walking Dead: Road to Survival fans are in for fresh serving of their favorite apocalyptic fiction, as the game's massive new update titled World At War is releasing today. It's touted as the largest update the title has seen, boasting features like new characers, a Facebook chatbot, and a five-week long story arc that should be familiar to fans of both the comics and the television series. Those who love The Walking Dead for its story will be most interested in the new narrative bits, which the development team say should be instantly recognizable to those familiar with the "All Out War" story arc from the comic series as well as the madness that we've seen from season 7 thus far. Alongside the new story updates is the newly-released Faceboot Chatbot, a text-based narrative that reflects the events of the story and offers up a rare chance for fans to win limited edition Skybound merchandise. 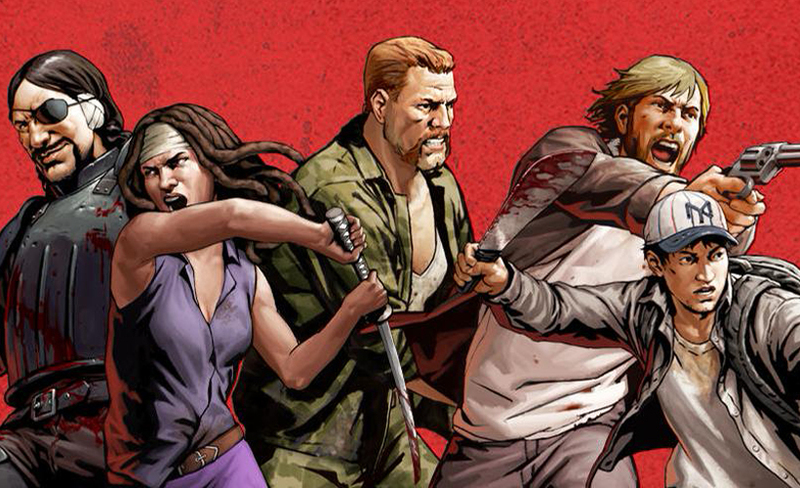 There's no question that Road to Survival is enjoying much of the popularity shared by the series' comics and television adaptation — the title has seen over 34 million players inhabiting the game's dynamic world so far.. Road to Survival's update is properly timed, too, as players should have plenty of time to check out the new content in anticipation of The Walking Dead's mid-season television premier on Sunday, February 12.